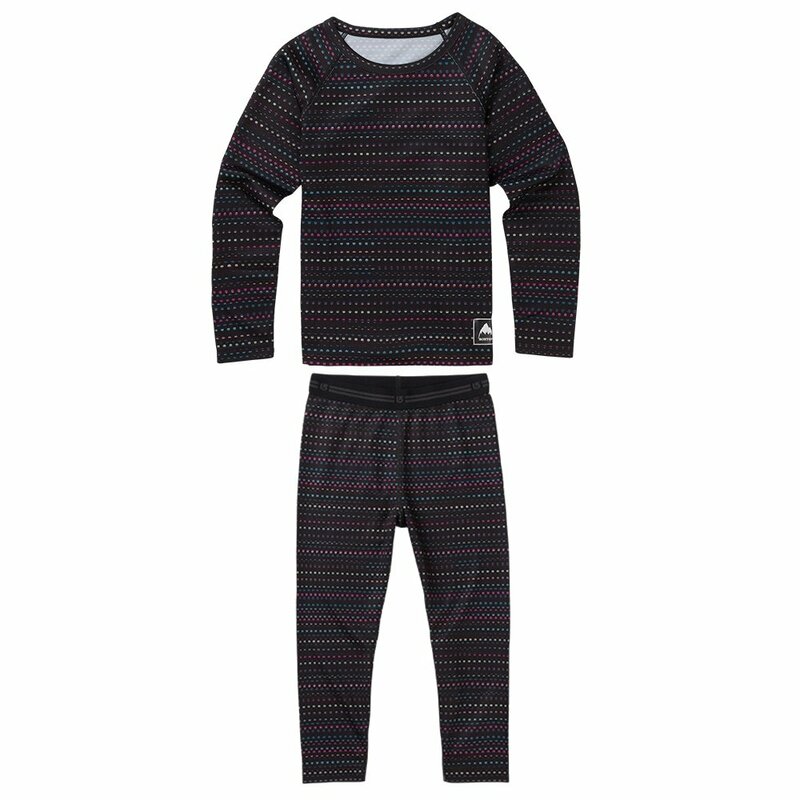 Keeping the little ones dry and warm in the snow can be a challenge, but the Burton Minishred Lightweight Set is comfortable, warm, and comes in prints that little ones will love. Whether they are playing outdoors or drinking hot cocoa they will stay cozy and warm in the minishred lightweight set. This set comes charged up with DRYRIDE Ultrawick™ birds eye mesh fabric, chafe-free seams and Stretch 180° for comfort. Highly breathable and quick drying makes this set a winner for your little ones.